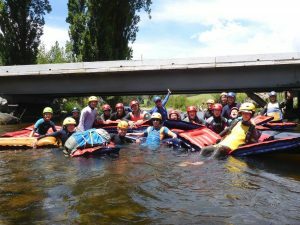 Our Venturer unit each year has a massive end of year activity over New Years. 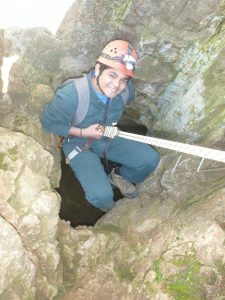 Two weeks of adventurous and excitment filled activities, such as caving, hiking, liloing and kayaking. 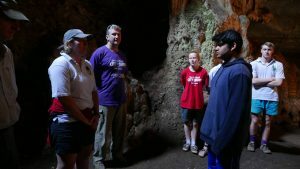 This year, 2GVU went to Tumut and Coolaman Caves. 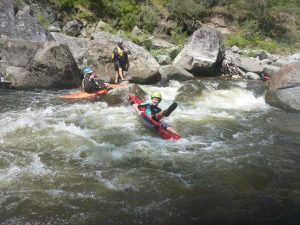 At Tumut, the Venturers went on an exciting kayaking and liloing adventure along the Goobarragandra River. 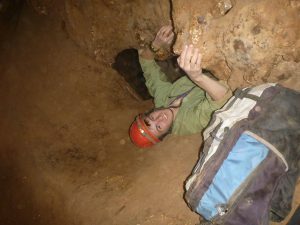 Some of the caves explored in Coolaman were Yarrangobilly caves, Barbers cave and Cooleman Cave. 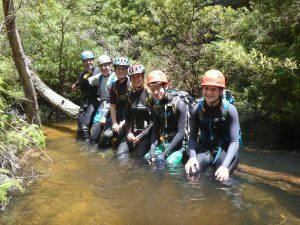 Some of our venturers made the most of the holidays and perfect canyoning weather by joining the leaders in exploring new canyons. 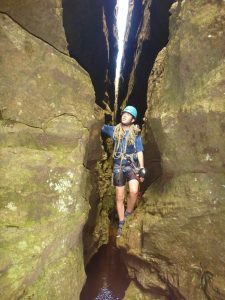 Canyons such as Fortress, Zorro and Hole in the Wall were some of the many canyons experienced by the venturers. 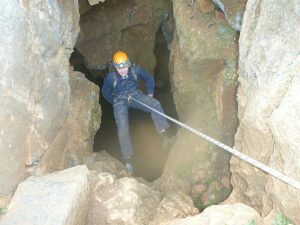 These trips allowed for older venturers to practise their canyoning skills and the younger venturers to experience canyoning firsthand. 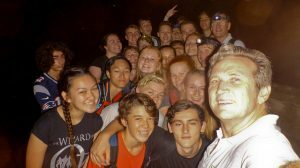 To start off the year and welcome the new venturers, 2GVU explored the banks of Lane Cove River in an exciting and venturer-organised night hike. 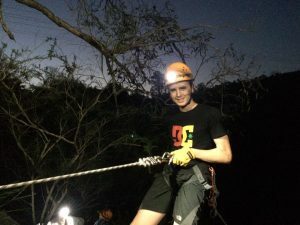 A beautiful night abseiling at Oxford Falls, while some older venturers practised setting up abseils and teaching the new venturers how to abseil. 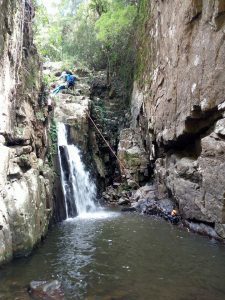 A popular activity among 2GVU venturers, spending a weekend following a creek into a canyon and abseiling down the waterfalls. 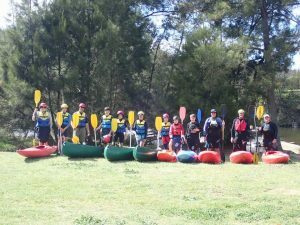 In a joint venturer activity with Nowra Venturers, 2GVU spent the weekend cruising over small rapids on a lilo down the Shoalhaven River. 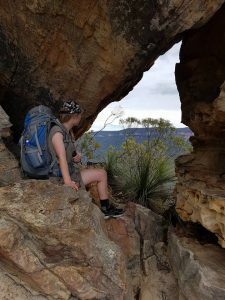 Dragonskin is a popular 4-day hike where Venturer Units’ from around NSW and other States compete in a series of activities while hiking from base to base. 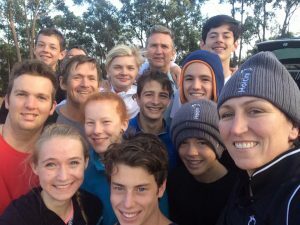 It’s a great way to socialise with other units while keeping a competitive spirit. 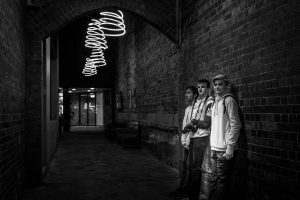 Vivid presented the opportunity for Venturers to start on their Expressions Badge through photographing the festival. 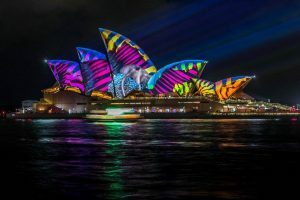 It was also a relaxing activity for Venturers not after badges as they wondered around Circular Quay enjoying the sights. 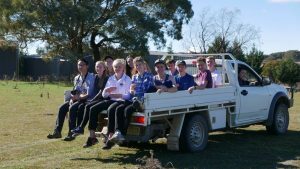 Venturers spent the weekend at Venturer Leader Geoff’s farm; collecting wood to be burnt, learning how to drive tractors and searching for wallabies and kangaroos as dusk fell. 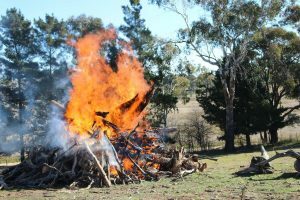 The highlight of the trip would have been the massive bonfire lit on the last night. 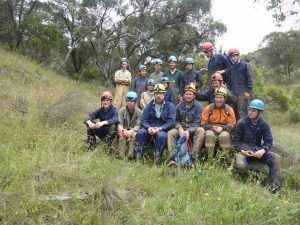 Our annual June long weekend camp is full of adventurers, focussing on canyoning and an occasional 4WD track. 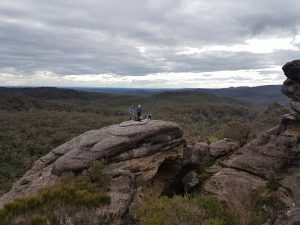 This year we went to Newnes to do the dry canyons’ Wolgan View and Zorro. 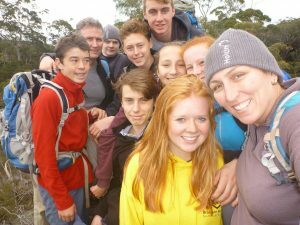 A small group of Venturers and leaders went for a hike in the Budawangs in the start of the July holidays. 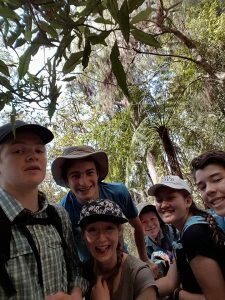 the Budawangs has excelent views and provided the opportunity for venturers to practise their navigational and camping skills. 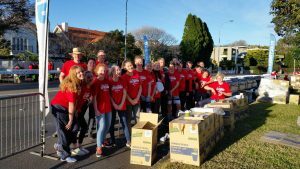 The Budawang Venturer Hike – Milly R. Emma P. Nicole B. Justin D. Ian P. Luke P. Christain H.
One of our annual fundraisers is to volunteer at a water station during the City2Surf. Venturers have an early start, and a long, exciting day throwing water at the runners and supporting people as they run through our station. 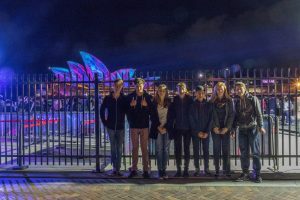 An activity different to our usual nights, 2GVU visited the Sydney Observatory and got a tour of the telescopes and an education on our solar system and neighbouring planets; future NASA missions and recent discoveries. 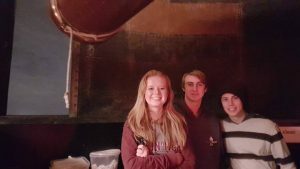 It was a really interesting night with a great turn out of venturers coming along. 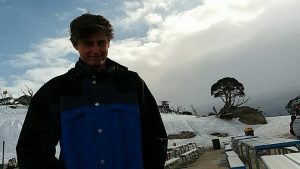 Each year, the first weekend of September is spent on the ski slopes of Blue Cow and Perisher. This is a trip open to all people within the 2nd Gordon Scouting movement and their friends/family. Every year, our Venturer unit visits Wee Jasper during the October Long Weekend. 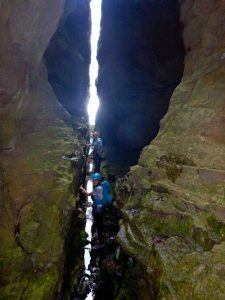 For many venturers, this is the highlight of their venturer-year. 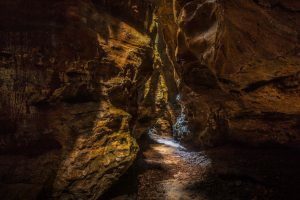 The camp consists of exploring caves in Wee Jasper; with popular caves being Punchbowl and Daylight. 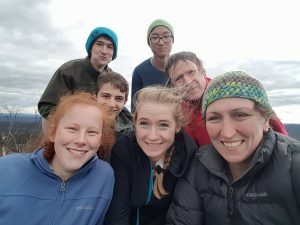 During this camp we also often initiate new Venturers to our unit. This involves them taking the Scout Promise and acknowledging the Scout Law. 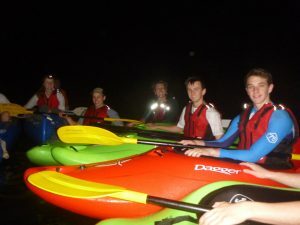 To welcome eveyone back to the unit, 2GVU went on a night kayak in Bobbin Head. 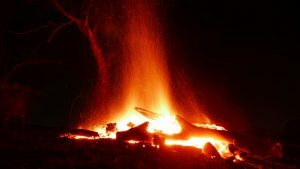 With only one venturer fall in, it was a pretty magnificent night. 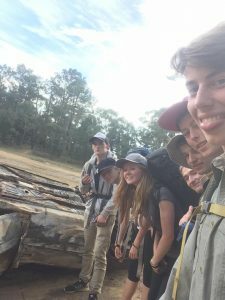 Part of getting your Queen Scout Badge involves leading a over-night expedition in unfamiliar territory. 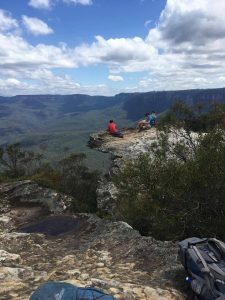 Emma P. and Milly R. teamed up to lead a small group of venturers on an over-night hike from Katoomba to Wentworth Falls. Highlights from the trip include banta between the friends and the challenging yet rewarding hill at the end. 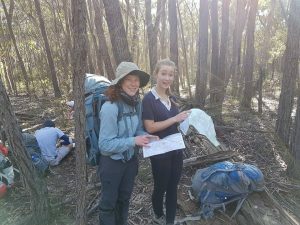 By successfully completing their trip, Milly and Emma are one badge closer to their Queen Scout. 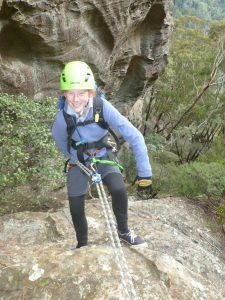 Other activities this term include abseiling at Middle Head, indoor climbing, bike hikes and beach nights.